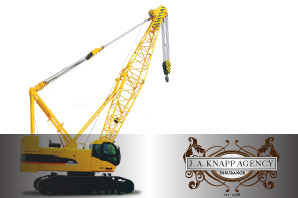 JA Knapp has been in the industry since 1988 with experience and expertise in a number of fields including cranes and equipment rental. Through years of experience and a proven track record J. A. Knapp has been able to secure multiple national carrier programs through A’ rated companies adding value and understanding. Coverage is provided and underwritten by not only those agencies that understand the industry but many of which have owned and operated in the same field in years past. Armed with the knowledge and understanding we at J. A. Knapp would like to offer an insight into coverage areas we offer and help you to understand your needs individually.